Music Ensemble students will be introduced to jazz improvisation in a group setting. A youth driven performance-based class that includes music theory and performance opportunities. 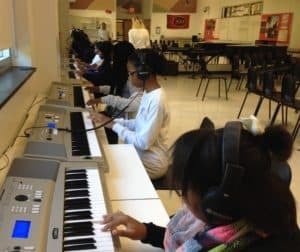 Keyboard instruction requires no previous experience and will cover introductory piano skills and music theory.